My friend Emily asked me what I use for a peanut butter cookie recipe since she wants to try a bacon peanut butter cookie. I think this is genius but what really makes it great is that she has never purchased bacon in her 23 years. Never purchased or cooked meat in fact. She is not a vegetarian but pretty close, except that I have brought her over to the dark side. She tried a big mac after boozy bowling for my 24th birthday. Pretty funny once she spotted a McDonald’s and announced that she wanted a Big Mac so Price had to drive around the block while we ran in. Needless to say Em felt like garbage later. 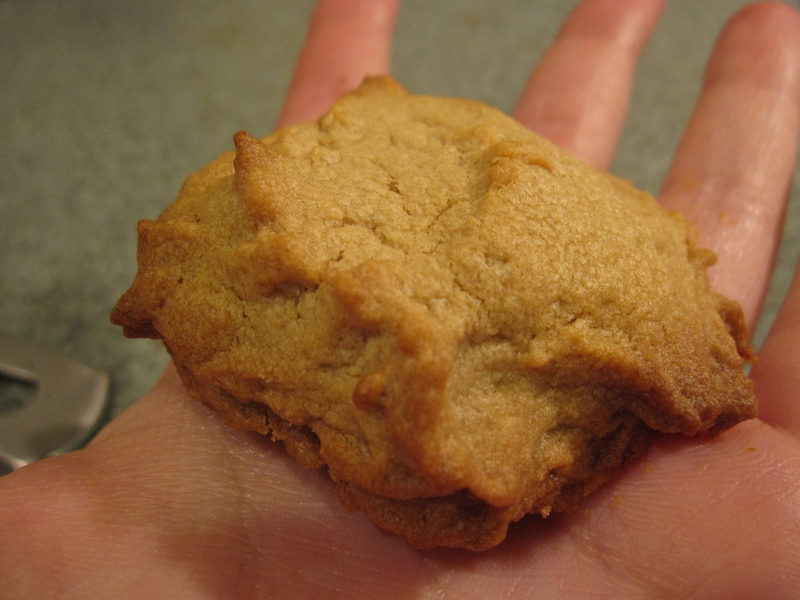 So back to the peanut butter cookies….. this simple question of “what recipe do you like?” prompted me to yank out several cook books to see what possibilities I had to try compared to my usual recipe. 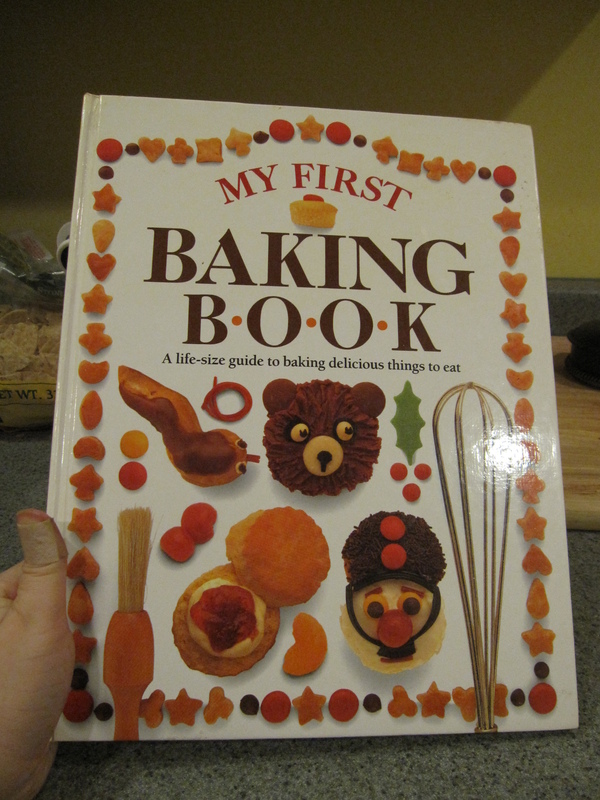 Whenever I have made peanut butter cookies I have used My First Baking Book. 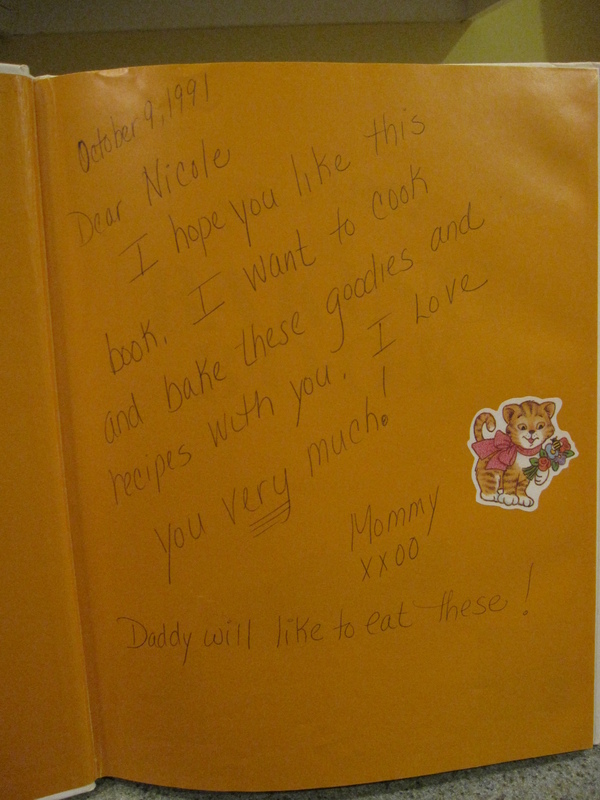 My mom got it for me when I was 6 and I have used this book several times even though it is a “kid’s cook book”. To be quite honest I find it hard to believe that kids will be using puff pastry or making eclairs. What 6 year old makes Pate Choux?? 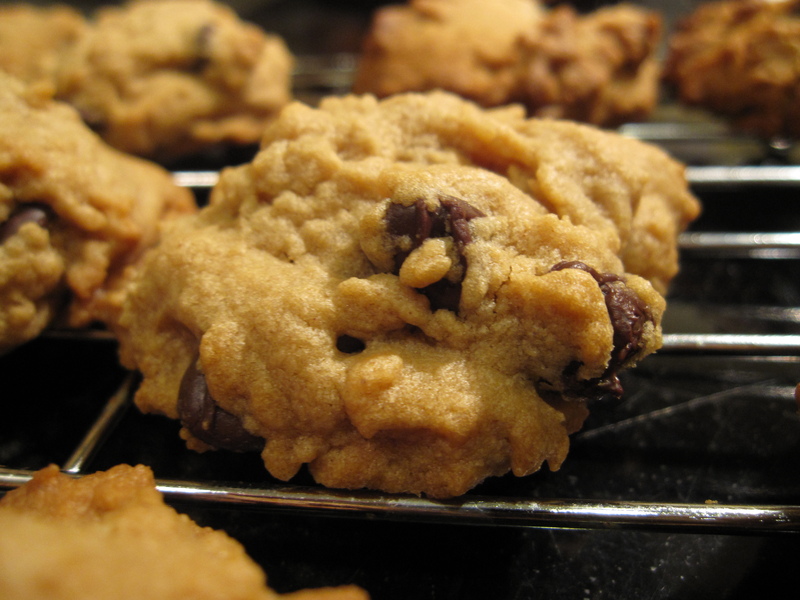 This seems to be an easy and pretty standard peanut butter cookies recipe. While going through my cook books I noticed this was pretty close to a few others that I had. I made an addition to it by adding my homemade vanilla extract. I just think that everything should have vanilla extract. Additionally, I made some without chocolate chips and some with. I’m not a fan of peanut butter cookies. I had 1 with the chocolate chips and it was good. 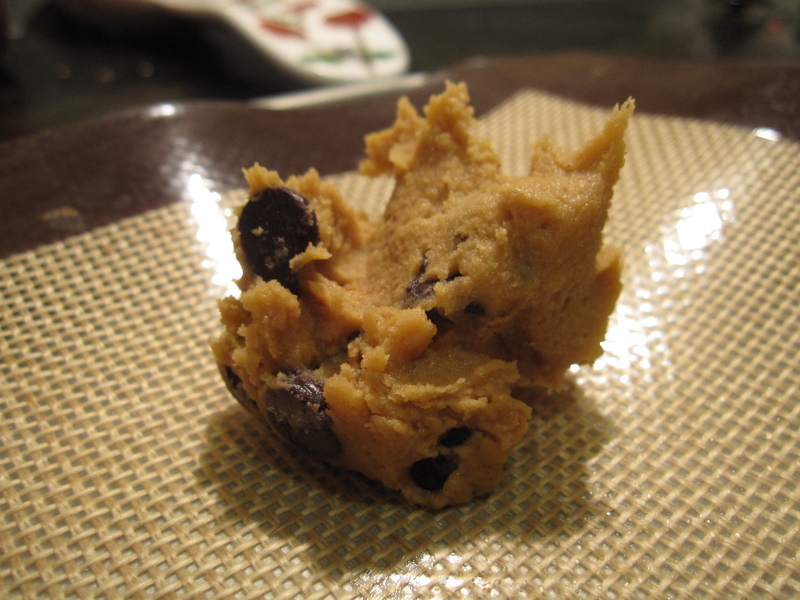 Good texture, good flavor but I really don’t like pb cookies and without a sweet tooth I have had not made it my mission to try to perfect the cookie. Maybe I can work on that now. Either way, Price enjoyed them last night. I brought them into work to see what other’s have to say. Hopefully they will enjoy these and trying different recipes until they have picked the best. 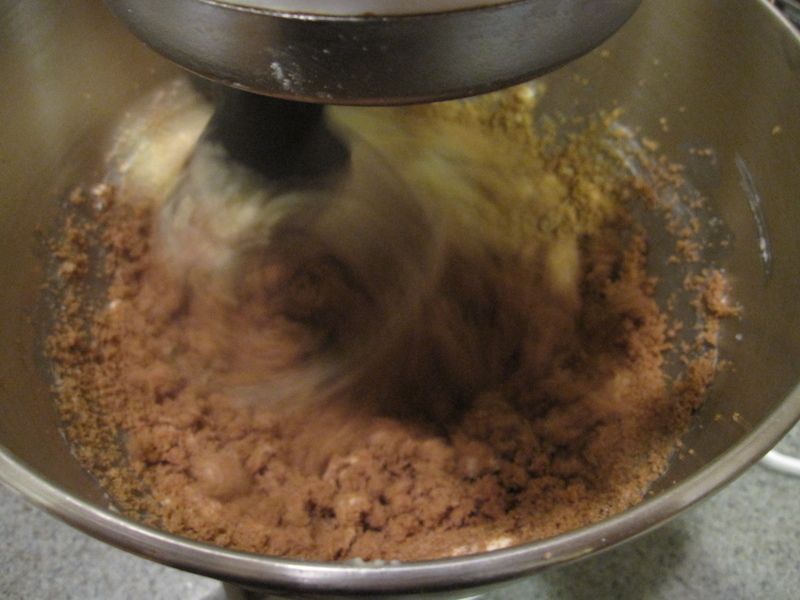 Cream the butter and brown sugar together until light and fluffy. One at a time, add the eggs. 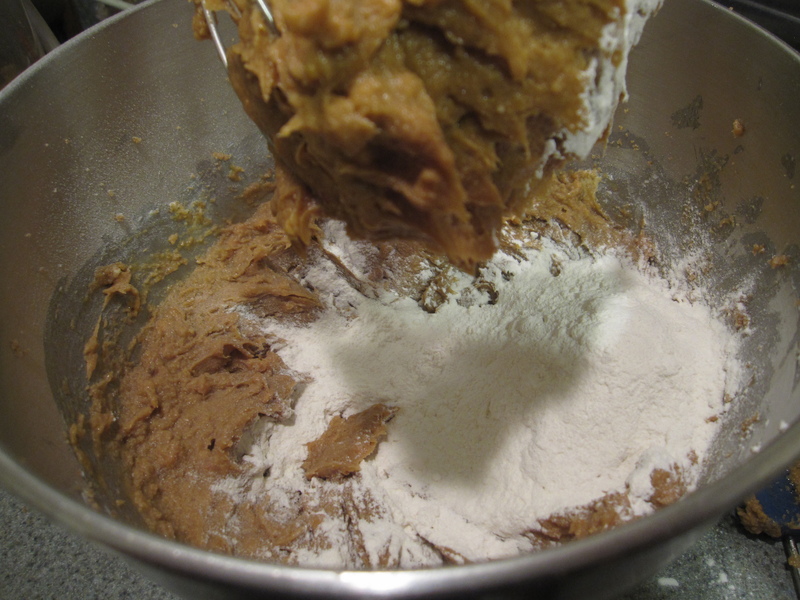 Add vanilla and peanut butter until batter is smooth. Add the self rising flour until just incorporated. If adding chocolate chips add them in now. Place teaspoon fulls onto a nonstick/greased/silicon lined baking sheet. Bake for 12-17 minutes. Let cool on a rack and then enjoy with milk.